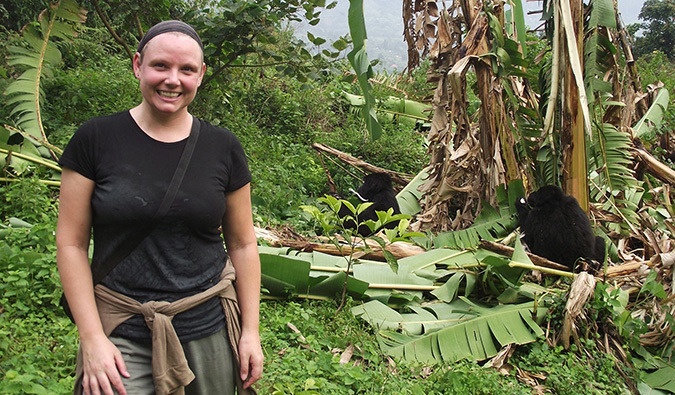 Kristin Addis from Be My Travel Muse writes our regular column on solo female travel. It’s an important topic I can’t adequately cover, so I brought in an expert to share her advice for other women travelers to help cover the topics important and specific to them! She’s amazing and knowledgable. In this column, Kristin shares some insights from solo female travelers who aren’t millennials! Every now and then I think about Julie, a 77-year-old woman who stayed at the beach bungalow next to me on the island of Gili Air in Indonesia. She regaled with me stories about being invited by locals to beach barbecues, her adventures, and the fun she had traveling the world. I felt so empowered during our conversations. She was so laid-back and at peace. This was a woman who had lived a long life and bucked the belief that solo female travel was something for the young. The confident role model in front of me showed me that women of any age can enjoy and benefit from travel. The Internet is awash with young, often Western, women traveling the world. They blog and Instagram and get their stories told in big media. There’s that bias toward youth. But solo female travelers come in all ages, from all kinds of backgrounds, and from all over the world. 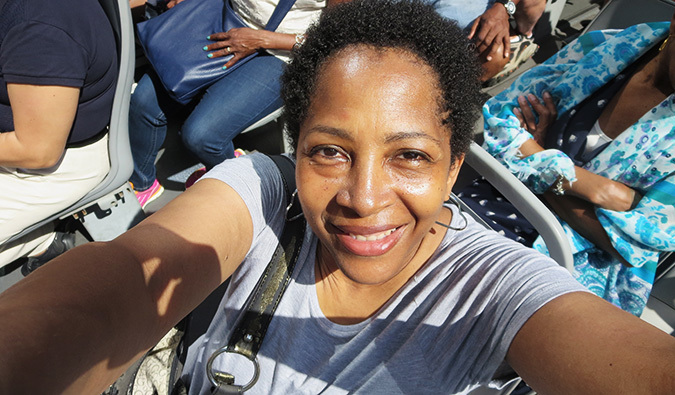 Today, I want to share some of the stories of older women travelers and add their voices to the narratives. So I sat down (virtually at least) with seven women and asked them for their travel advice. For Anne, the reason for going solo was simple: no one was able to travel with her and she had spent too long waiting for the right time or companion, so she just decided to go alone. 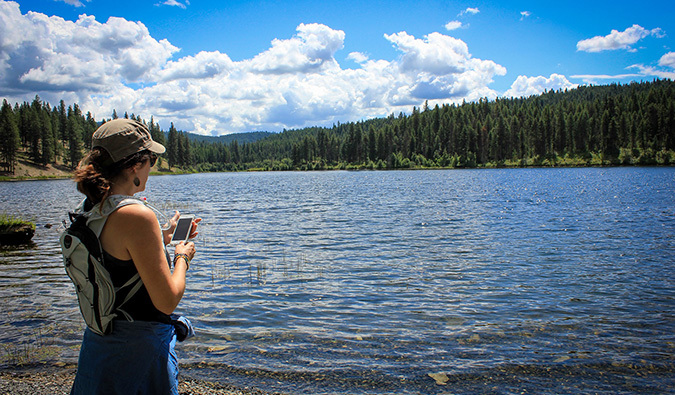 You can find out more about Anita and her adventures on her blog, The Social Tourist. Helen lived a seminomadic life for a year and a half before returning home to work. She has traveled solo to the Galápagos Islands, Kenya, Tanzania, India, Turkey, Jordan, Israel, the West Bank, Malaysia, Thailand, Vietnam, Laos, Indonesia, and South Korea. 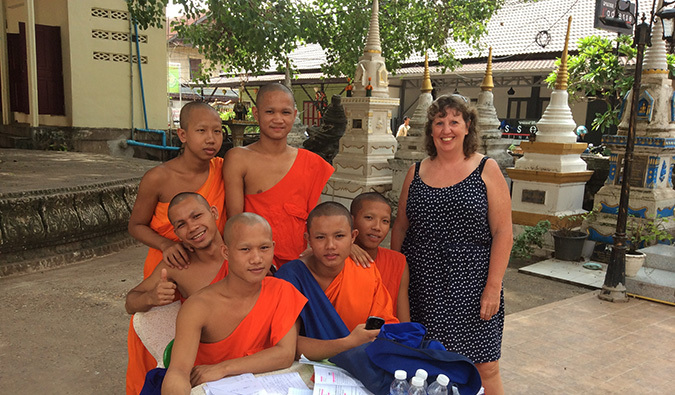 You can read more about Helen’s travels on her blog, Not Without My Passport. Cate decided to travel alone since her friends didn’t have the time or the money to do so. “I went to Hawaii, then pretty much focused on Europe. So far, Rome was way too intimidating. I loved Florence (I have been back several times), and I adore Paris. Travel was a dream of Julie’s for more than 30 years. And, when the stars aligned at last, she didn’t dream of waiting for anyone else to join her: she went on a solo backpacking trip. 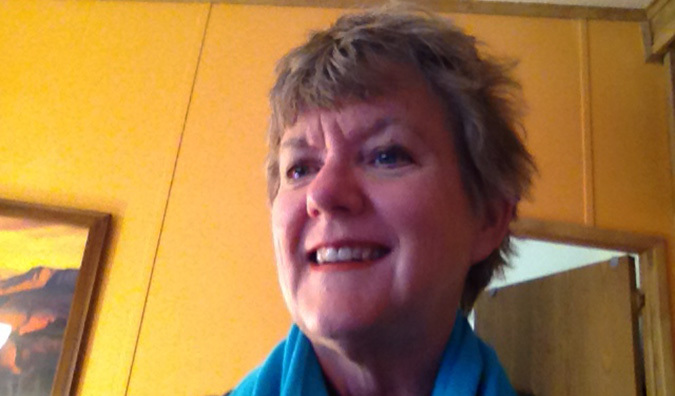 Julie currently runs her own business, coaching for personal and professional development, at clearmindco.co.uk. She also maintains a travel blog at Clear Mind Thinking. Maia first went to Europe in her early twenties with a group of girlfriends. She loved the experience and kept planning trips, and when people couldn’t come with her, she went anyway. 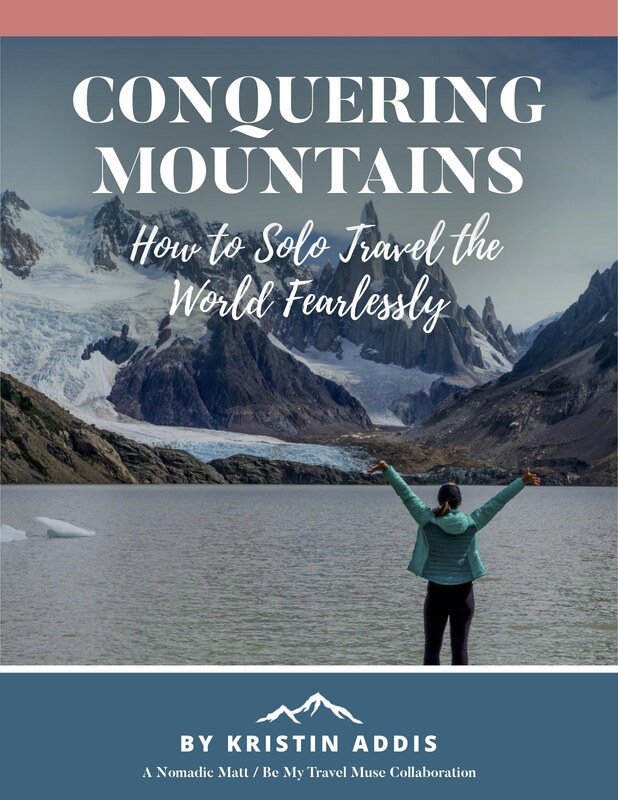 As I corresponded with these women, I couldn’t help notice some central themes: the desire not to let negativity get in their way, the fear but excitement over traveling alone, and the realization these fears were wrong. It’s something I dealt with when I traveled. There’s a certain universality to these fears that knows no age limit. Maybe our preferences and tastes change over time, but wanderlust never wanes for those of us who are adventurers at heart. 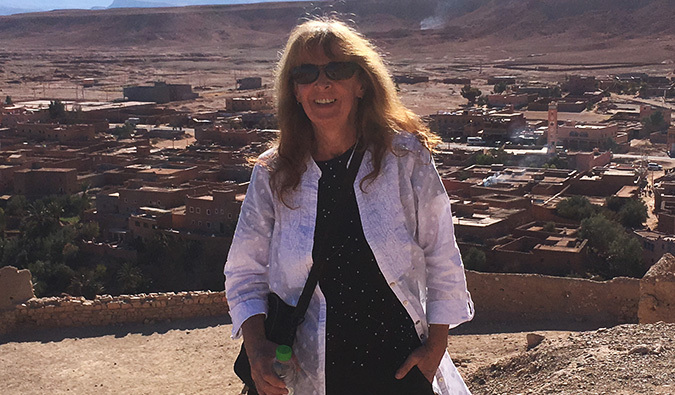 And, I think in this online age with so many young bloggers (myself included), it’s easy to forget that every day women of all ages set out to travel the world and, like Julie did for me, help inspire more women to head out on the road too. Kristin Addis is a solo female travel expert who inspires women to travel the world in an authentic and adventurous way. 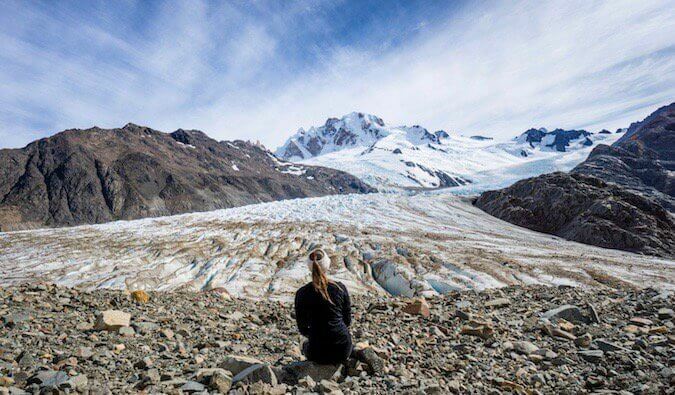 A former investment banker who sold all of her belongings and left California in 2012, Kristin has solo traveled the world for over four years, covering every continent (except for Antarctica, but it’s on her list). You can find more of her musings at Be My Travel Muse or on Instagram and Facebook. I’m digging the recurring theme I see her Kristin. Just go. Travel. Woman, or man, couple, or solo, or fam….just go. Whatever your background, ethnicity, age, it does not matter. Wait for no one. Never wait to get permission, or to go only after your family and friends approved. I recall leaving for Bali almost 7 years ago. My parents supported me but also wondered what in the hell I was doing. Ditto for my wife’s parents. Folks wondered, but we just went, dissolving our doubts into inspired action. My wife lived in Japan for a year, solo, teaching English, before we met. Then she did solo trips to Europe, Central and South America right after we connected. She just went. She used common sense but really, it would be the same stuff I would do as a solo male traveler. Go guys. All you have is the moment, so seize it. Hit the road, see the world and you will grow like a weed on the road, learning of new cultures, meeting inspired people and making friends all over the globe. Exactly. Just go! And yeah, my friends and family were supportive too but I think also wondered what in the world I was doing! I think it is good to list real people and bloggers that are not in their twenties but still remain young. If there’s something that traveling solo has taught me is to not give a f*k about what other people think and to go after what I want. Events in my life have made me realize that there’s no insurance on whether you’ll be healthy or even alive tomorrow and that if you want to do something, you should not wait and just go for it. 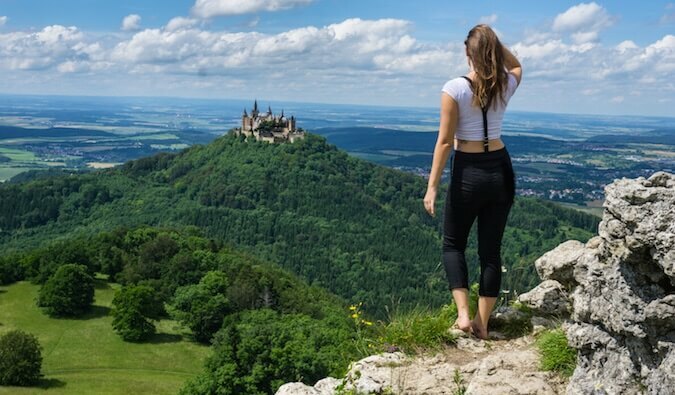 Moreover, traveling solo is not only something to do when you have noone else to join you, it is an eye-opening experience that can make you grow, know yourself better and improve your people skills, either with locals or not. I have been traveling solo for 5 years now, and now that I am entering my 30s I do not plan on stopping! Yay to all these amazing women! One of my close friends lives in florida, solo, doing a job in MNC company. it was his first solo trip to florida, then he got a job. Go guys. All you have is the good moment for planning a solo trip, It can be interesting at a time. It is a good idea for everyone to try learn and see the world. Such a beautiful post! I appreciate your effort of bringing these incredible women together here. Solo travel is amazing! 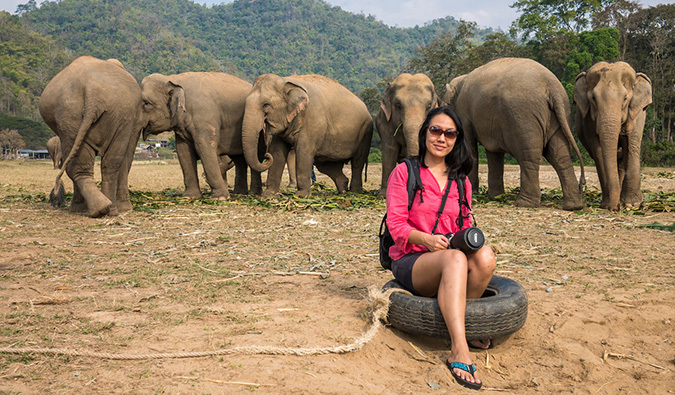 It’s liberating…Since I’m also a solo traveler, I can relate to these women. Seriously, one should travel alone at least once in their lifetime to experience the world from one’s own perspective. Solo travel gives a new level of wisdom and confidence. I am a retired USA teacher and I love solo travel. I enjoy going in May to celebrate my birthday at age 70 I spent 6 weekssolo in ECUADOR using Airbnb and booking.com After that I have spent 2 weeks in belize and then most recentlyn6 weeks in Eastern Europe,Croatia and Slovenia. May 2018 I will island hop in Greece for6 weeks to celebrate,y75th birthday ! My motto if notNOW then WHEN? I will never be richer or healthier or younger so I must go ASAP! I’m 35, and I’ve been traveling solo for four years. This was soooo refreshing to read! Much of the travel movement seems to be centered on millennials and while I think it’s dope that more people are traveling, it’s nice to see a different demo get shown some love. I love this Kristin! As a 51 year old solo traveler, travel planner and travel blogger, I agree that I see so many young solo female travelers. So thank you for this. There are more of us “older” gals out there and it’s great to hear their stories. We need more of this!! I love this article, I am in my late 30’s and only just this year did I have my first real solo travel experience(s) which included living the hostel life, which is something I never saw myself doing before. Better late than never! Beautiful article!! I appreciate your effort travelling and blogging such a great post. I know travel is amazing but you makes new level of wisdom and confidence in all and you are a such inspiration to us. Love this! I left a well-paying, unfulfilling job with nominal prestige to travel at 37. I had done some traveling before, but nothing to the extent of placing everything in storage and actually being homeless. People couldn’t understand why I would leave a steady thing “at my age” and were worried for my safety. As a woman, you of course stay aware of your surroundings, but I’ve never believed one ages-out of things like learning or travel. These women are so inspirational. Fantastic piece! Oh my gosh, thank you so much for posting this! I travel solo and before I put my blog together, I literally wanted to name it I’mNotAMillennial.com. It’s awesome to see women from all walks of life, ages, backgrounds and ethnicities being featured as strong, awesome world-class travelers. These 6 Ladies change the way of thinking and create an outstanding example.They are a true motivation for females.They prove that age is just a number only and what it needs to do such adventure is courage and passion. Yes! My journey to adventure seeking started at 30 as a Stay At Home Mom!! No need to wait for some ideal time in the future or lament that your time has passed. Now is the time! Great to see so many women just grabbing life by the balls and making the most of it! We talked before. I love solo travel. My last trip was Eastern Europe last fall. I got spoiled going solo. I am now with my partner. It is actually more difficult because he wants to “take over”, leading the way in a harried frenzy carryiing the map. I wander and stop along the way. When I realize I might be lost I ask directions. So this drives me crazy. Hoping my comment to him to let me lead with the map helps. I eat street food constantly, he wants a sit down cafe. Costs more and not better food. Solo is better. Next time he stays with the dogs! I will take short trips with him. I have been travelling solo since I retired at the age of 68. I am now 74 and despite having a few battles with my children over my frequency of travel there is nothing can stop me at this time. No sense in thinking what if? My friends are either not interested or cannot afford the time due to work but to be quite honest I would prefer to travel solo as I am so interested in the history, culture and people of the countries. 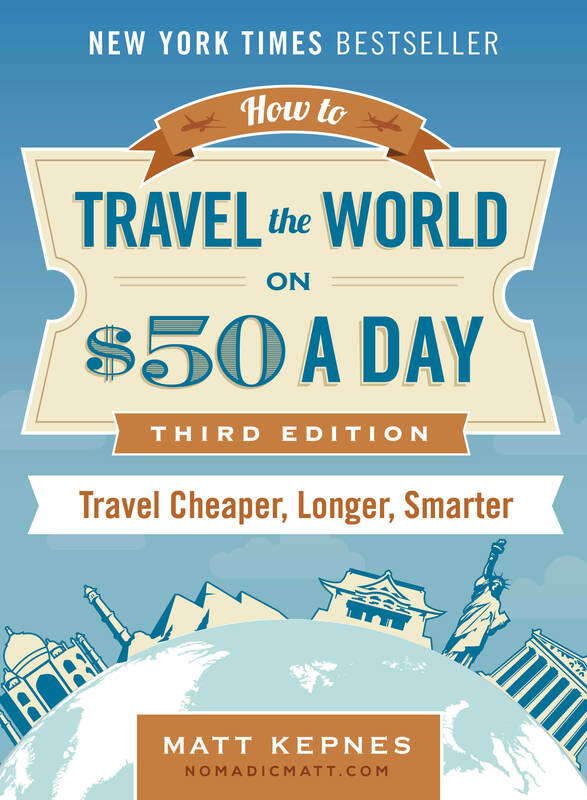 You can spend as little or as much time as you want in any country or area. I have had so many wonderful experiences and met some beautiful people. I have troubled to around 60 countries. If I do tours I look for holidays with a small solo supplement and if it can’t be achieved I organise my own tour. Love, love, love travel. I did a 2 month, 10,000 km road trip last year in my car from Sydney to Cooktown, the most northern part of Australia. In my spare time I am looking for another adventure, making photo books and typing up my blogs which I only send to friends and family. Thanks for this article (and I love the comments, too) Really appreciate the ‘voice of experience’ here! I’ve done a lot of solo traveling, mostly for business and I moved from California to Uruguay, then to Chile on my own – got the same kind of concern/doubts/outrage from people as are mentioned here. It’s not for everyone, that’s for sure! I’m 64 and planning for my most ambitious trip ever next year, this time just for me, not for work. I trusted my instincts and am finding, as I plan, that I **needed** this, and it’s opening me up in ways that are life-changing. I’m 49 now and have been traveling solo since my 20’s. My longest trip solo was in 1996/7 when I spent a year traveling mostly around SE Asia and India. I travel with other people too, one of my favorites is my Mom who is now 72 but who still loves hitting the road and staying in little guest houses. Last year the two of us plus my 15 year old niece spent two weeks traveling around Cuba (before the US policy changed and we could still travel independently) We had a blast! My point is, just go. Go by yourself or with friends or family. Go with people your age or vastly different. You will never regret going!! I’m 41 and currently three months into my year-long travel sabbatical. I’ve loved keeping my blog and although I have times when I get lonely at times, I’m amazed at the wonderful places I’m seeing. Just do it if it’s what you want!